Over the past two weeks there have been a number of important reports on the health of the U.S. consumer. In general, the data has been strong on employment and retail sales, giving credence to hopes for a strong third-quarter GDP report later in the year. However, despite the positive trends, consumer sentiment came in below consensus estimates last month, according to the University of Michigan tracking. Also, housing market indicators are generally trending in the wrong direction. 1. Jobless claims in the U.S. fell back near their post-recession low. According to MarketWatch, new claims declined by 2,000 to 212,000 in the seven days from Aug. 5 to Aug. 11. This was better than consensus estimates for 215,000 and was near the lowest levels since the recession. 2. Retail sales increases outpaced expectations. 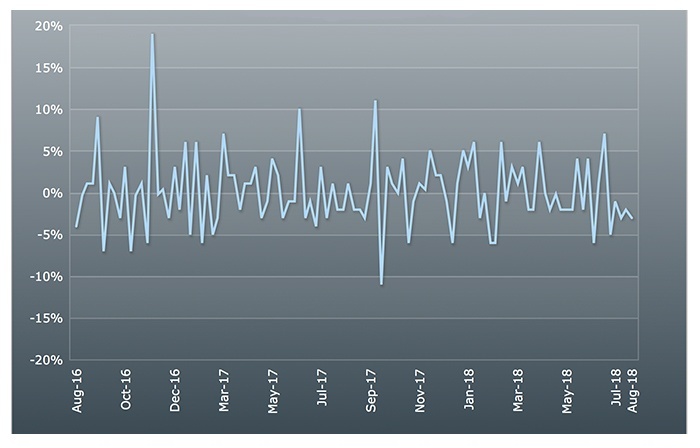 Barron’s reported, “Demand for autos has cooled but not overall retail sales, which rose 0.5 percent in July to easily top Econoday’s consensus range where the high forecasts were only at 0.3 percent.” As can be seen in Figure 2, the annualized trend for retail sales is on a positive slope. Sales in food-services and drinking places were particularly strong. 3. The number of mortgage applications continues to decline. 4. Consumer sentiment is below expectations, though still in the high end of the range. 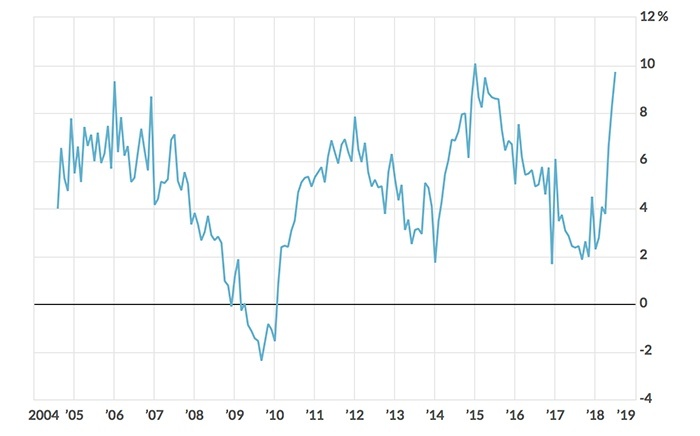 Consumer sentiment fell to levels last seen in September 2017 and was below both consensus expectations and the lowest estimate. On a historical basis, consumer sentiment remains relatively strong.